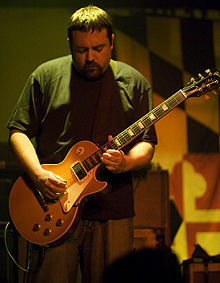 On February 4, Metalholic magazine conducted an interview with guitarist Tim Sult of Maryland rockers CLUTCH. You can now listen to the chat below. In the two-minute YouTube clip below, Maryland rockers CLUTCH give you a behind-the-scenes look at the creation of their new “Slow Roll” design tour shirt, which is being sold for under $20 at Clutchmerch.com and on the CLUTCH / MOTÖRHEAD / VALIENT THORR North American tour. 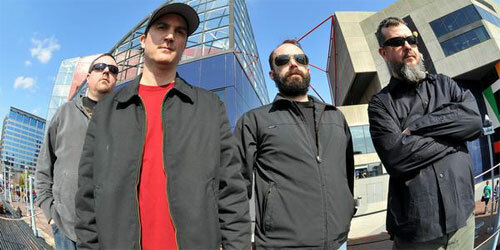 Metal Israel recently conducted an interview with guitarist Tim Sult of Maryland rockers CLUTCH. A couple of excerpts from the chat follow below. Metal Israel: You guys have been around for almost twenty years. I’d call you one of those legacy bands. Why do you think you’ve been around so long? Tim Sult: I don’t know. It’s just something that we want to do, you know? We’ve never had a huge commercial success or really been a huge band. We just do it because we like playing shows, and people show up at our shows, and we’re just going to keep playing until people get sick of us. Metal Israel: Where do you see yourself in the next 20 years? Tim Sult: In 20 years I’ll be 60, so hopefully I won’t be in an iron lung or in a wheelchair by then. I can see us going another 20 years easily. We might end up sounding like the GRATEFUL DEAD, but we’ll still be going.